It has been a very full few weeks! 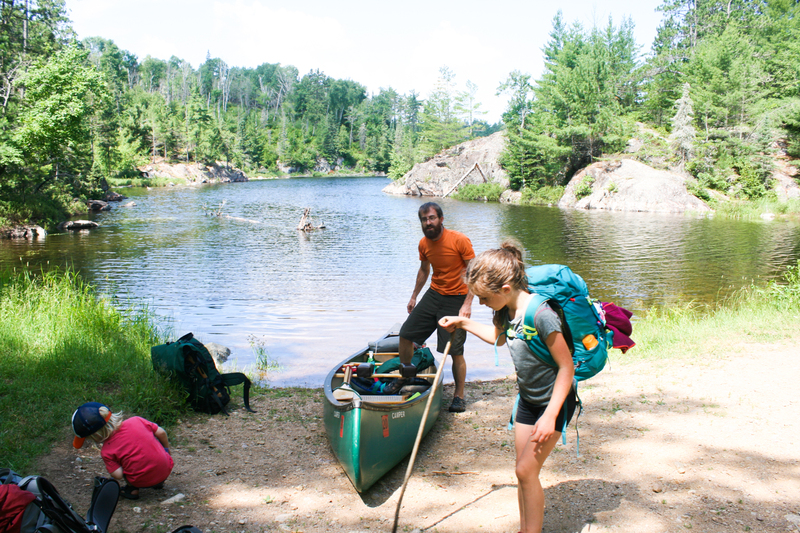 We were away from town for a week and a half, 5 days of which were spent in northern Minnesota canoeing and hiking in the Boundary Waters Canoe Area Wilderness with our kids. Jesse and I were so happy to return there. It has become a somewhat annual trip, skipping years when we have had a very young new human in the fold. R was 3 when we took her for the first time, but we bumped it up a year with E because we’ve missed it so, and because next summer we’ll have a babe in arms yet again (I’m due in December!). Since E was just 2.5 years old on his first trip, we made some changes to how we do things and it went really well overall. 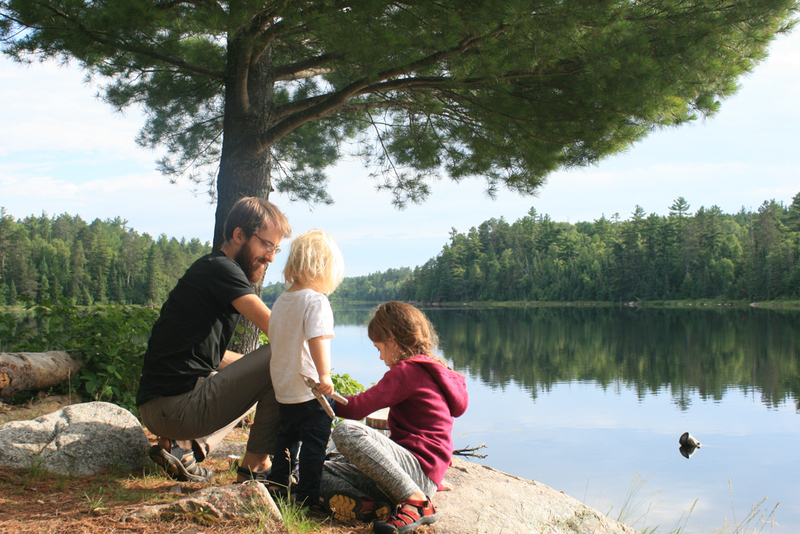 Whenever I can, I encourage families who love the wilderness to check out the Boundary Waters. 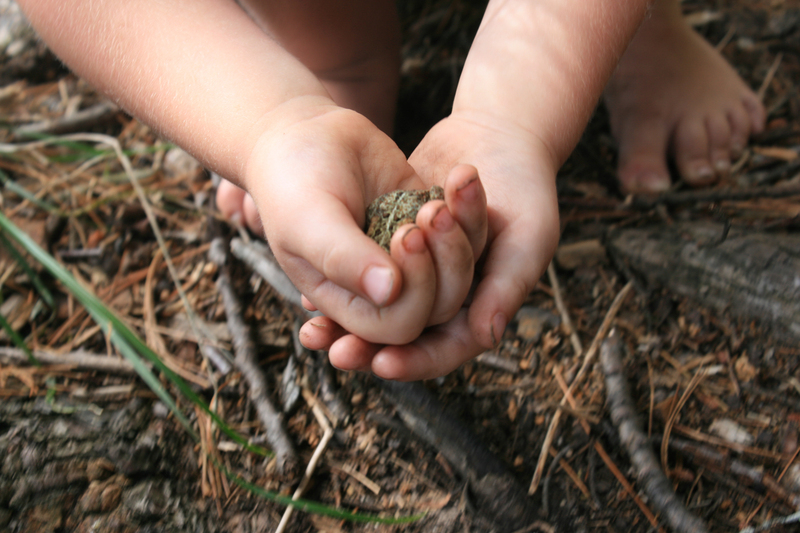 Having young kids doesn’t mean you have to miss out on adventures like this! So I thought I would share a gallery of some pics from the trip. If you’re interested in more details from our trip and some tips on going with kids, read on after the gallery. 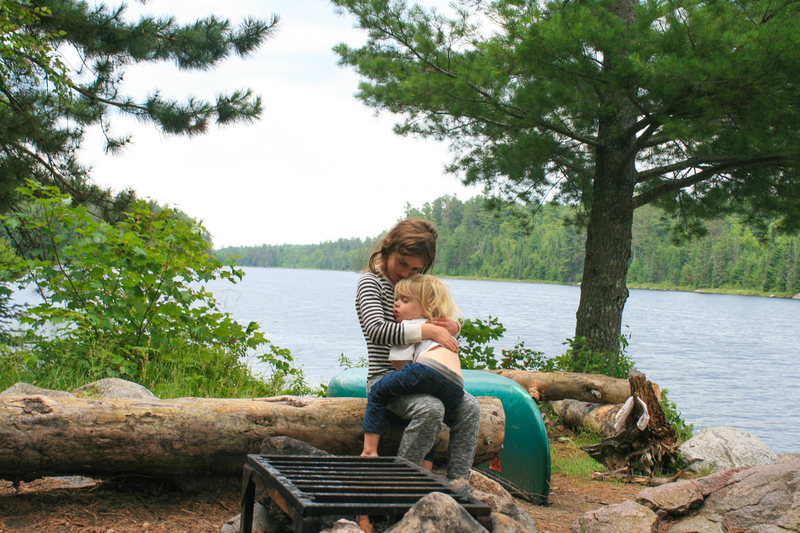 What is a trip to the BWCAW like? 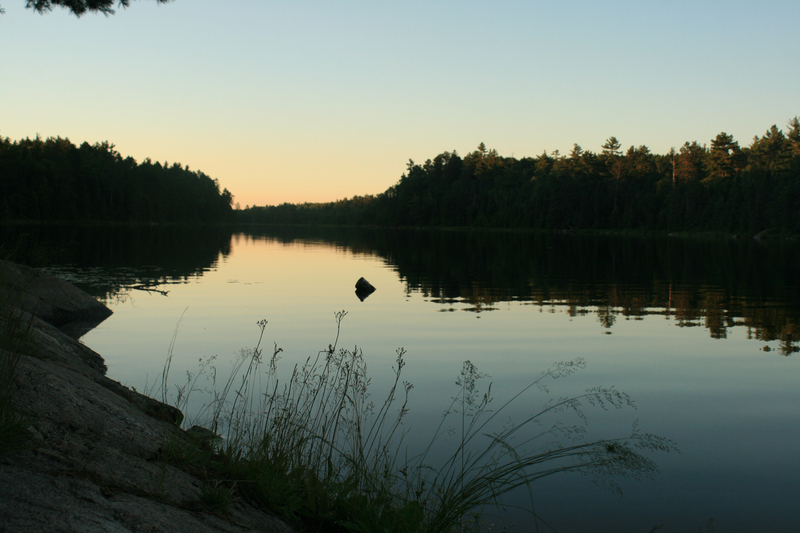 The Boundary Waters Canoe Area Wilderness is as its name states – a wilderness. It’s a nationally protected area of land in northern Minnesota where the closest thing to an amenity that you will find is a vault toilet and a fire pit grate. 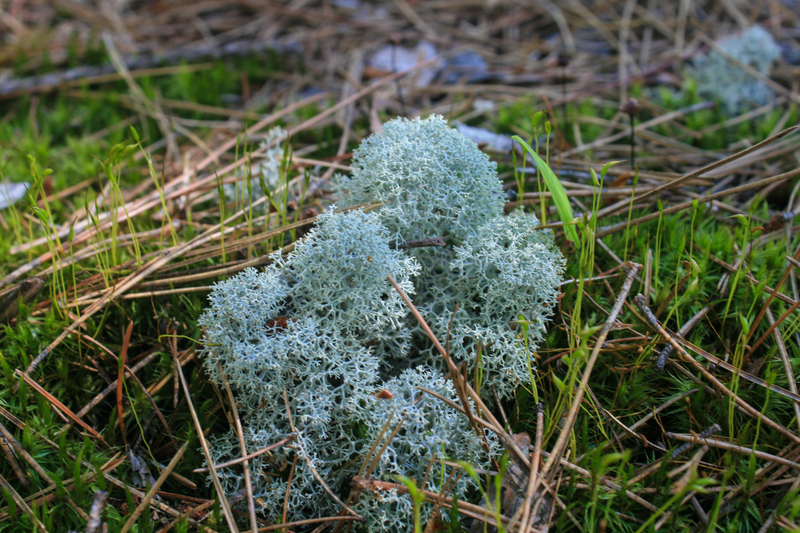 The entire area is made up of undeveloped lakes, rivers, creeks and forest. To visit the area, you must carry all of your supplies across land via (usually) well-worn portages and paddle in canoe across bodies of water. 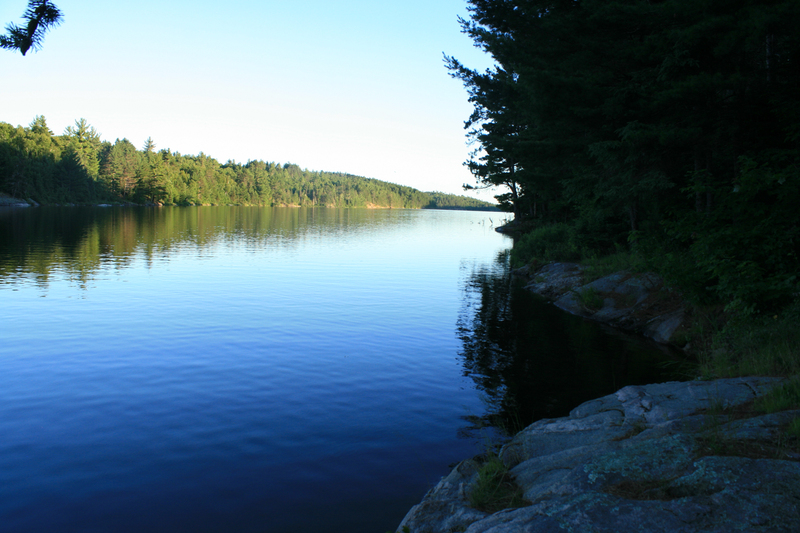 Designated campsites are labeled on maps and located via canoe on the water’s edge. Having my morning coffee with the forest and the day’s sun and clouds reflected in the water at my feet – simply priceless. 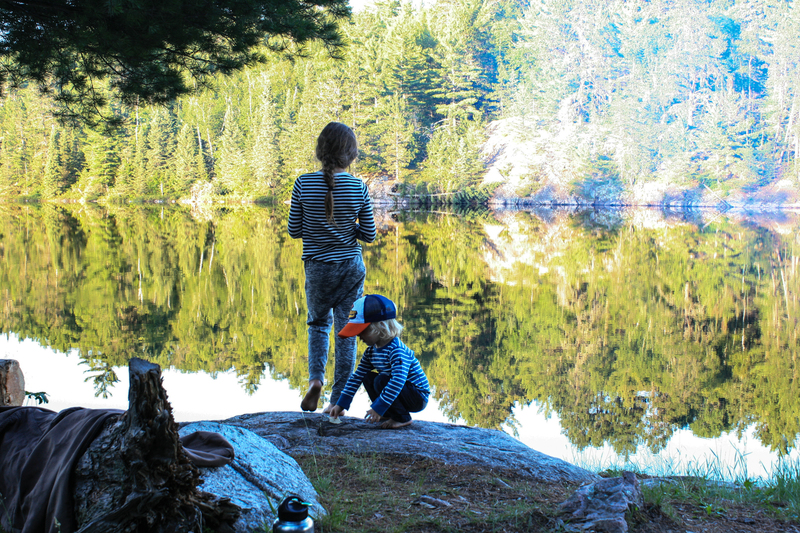 I think it is doable to go to the BWCAW with kids of any age – it just changes your expectations of accomplishment and influences your plans significantly. 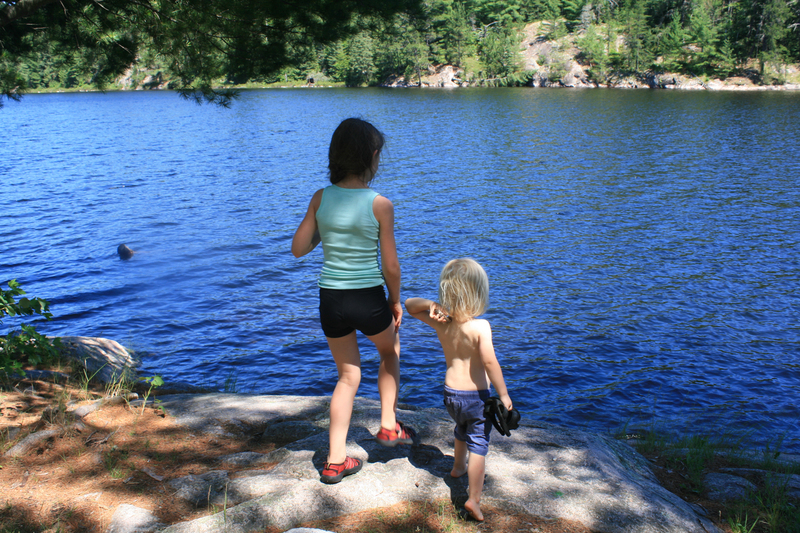 Before we had kids, we moved camp every day, pushed ourselves hard to paddle across multiple lakes and take on every portage with a single pass to get as far as we could in a day. We enjoyed the physical work, appreciated all that we saw along the way, and it enabled us to make a big loop, never retracing steps and seeing as much as possible. This will probably not be your experience with little kids! The key to taking little kids is to know their abilities before you go, and plan your trip accordingly. 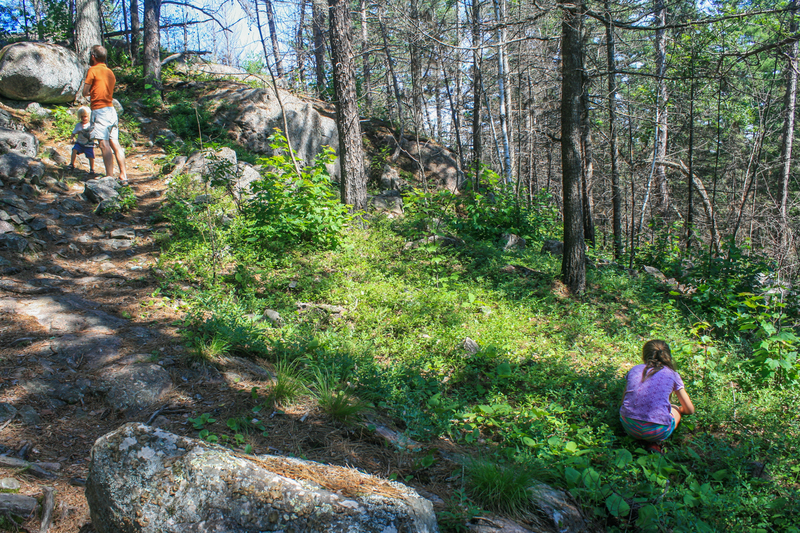 When we took our 3.5 year old for the first time, we already knew she was a solid hiker because we hike as a family at state parks pretty regularly. 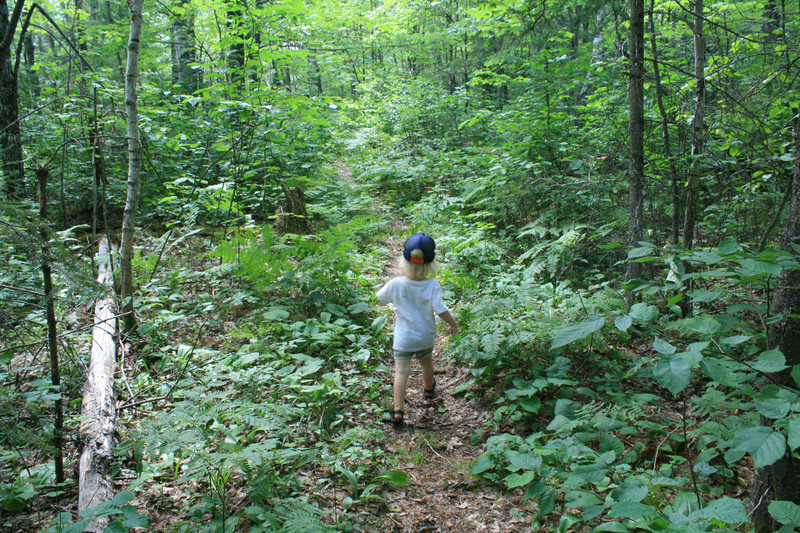 If your kid can hike, they can easily walk the portages. At that age, we didn’t have her carry anything. 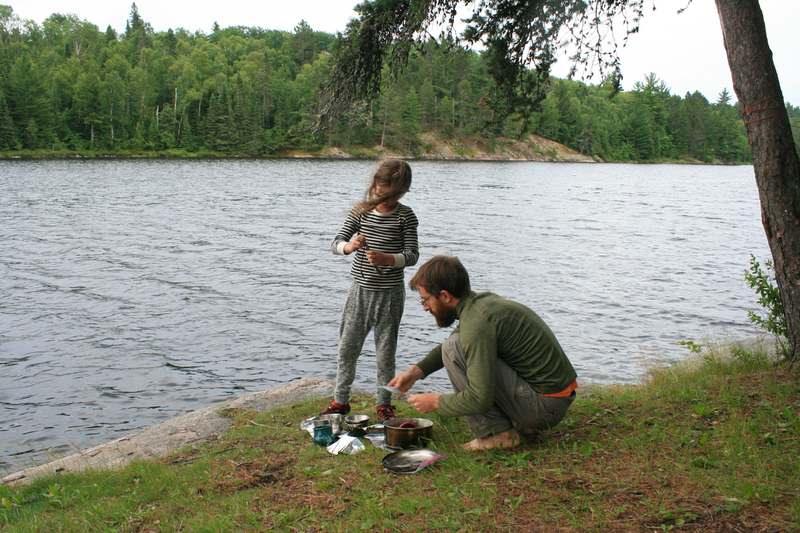 Just as before, we set ourselves up so that we could carry everything in one pass: Dad takes a pack and portages the canoe at the same time, and I take a pretty heavy pack with a smaller day pack on my front. I’m also in charge of the kid(s). 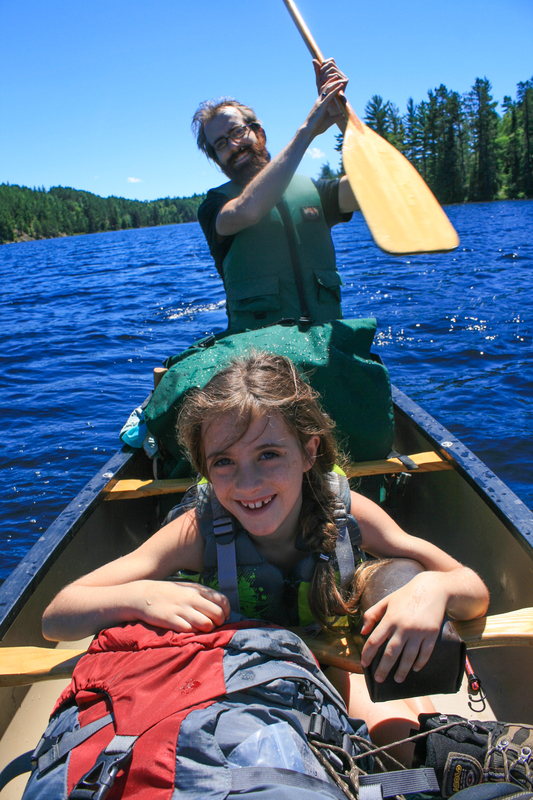 We bungee cord the paddles and fishing poles to the inside of the canoe, clip the life jackets to the canoe seats, and this time we also found it easier to bungee the tent to a seat of the canoe (yes, Jesse has a heavy load!). Taking everything in one pass means that no one has to stay at the other end of the portage and kill time with the child while one parent returns to make a second trip (though this would be a fine option, if you wanted, and likely what we would do if we ever brought a baby that could not walk the portages by himself). Where R was a fine hiker at 3.5, and didn’t need a nap, we still moved camp multiple times, but we spent two nights at a site once to take a easier day of swimming and creative play in the woods. At 4.5 she was even more capable, so our trip looked similar, but she carried a couple things on the portages, like her fishing pole and life jacket, or something else lightweight. Both trips she sat on the floor of the canoe during paddles, splashing in the water or using the smaller kid-sized paddle we have. With E being just 2.5 years old, we scaled back. He can hike a reasonable distance, but he’s a bit slow (unless he’s pretending to be an ambulance or fire truck) and needs encouragement along the way because he wants to squat to see every bug, berry or stick. Where carrying a super heavy pack was made a little more difficult by being 20 weeks pregnant, I wasn’t too keen on walking with all my gear at E’s pace for numerous portages. 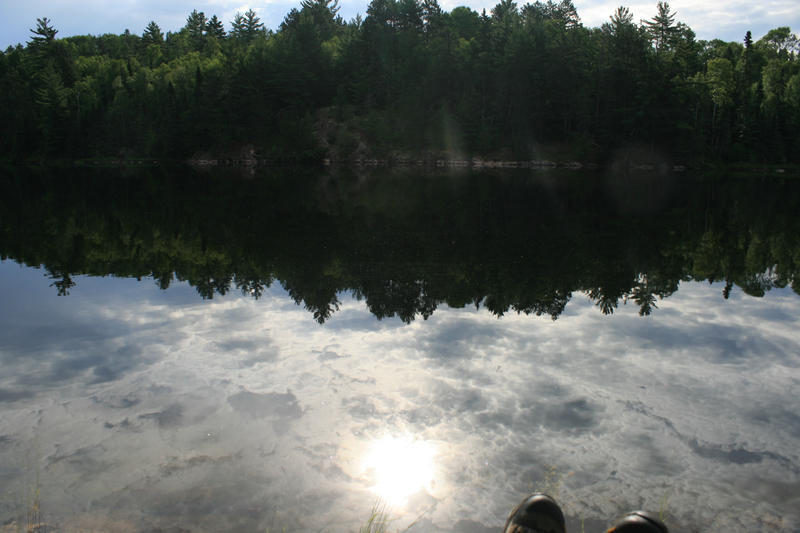 For this reason, we decided to camp on the first lake we paddled across. We had never done this before, and it’s certainly easier! 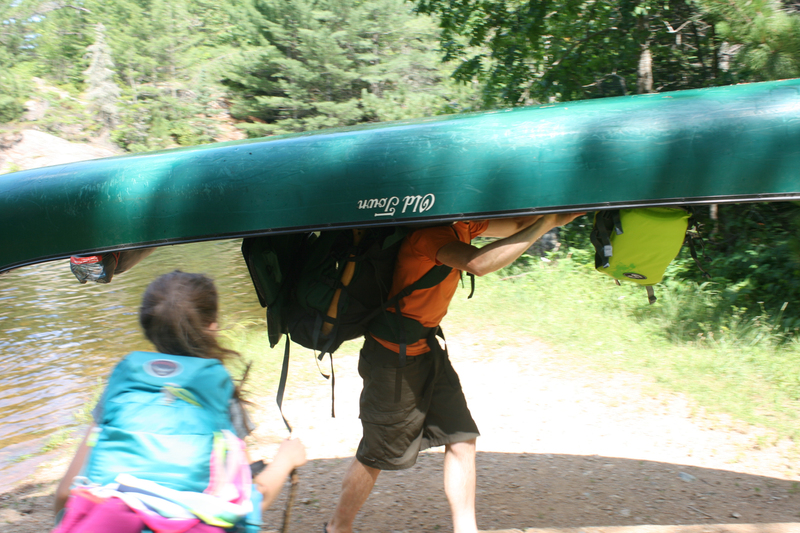 It meant doing just one portage and one pretty decent paddle to get to our campsite. We thought we would move camp once more a couple days later, but it was very windy and rained all day on the day we had planned to move. 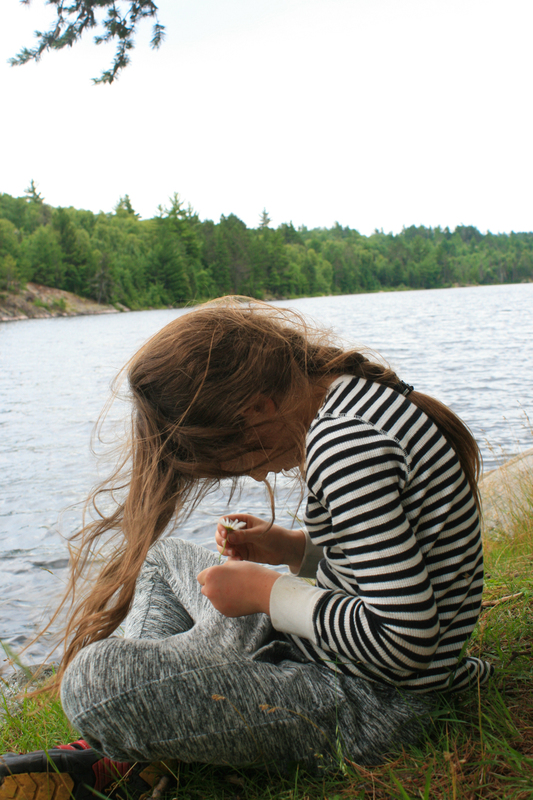 There was a lot to explore around our site on a pretty big lake – endless blueberry picking, cliffs to see, and hiking trails – so it ended up being really fun to leave camp as it was and take only day trips. 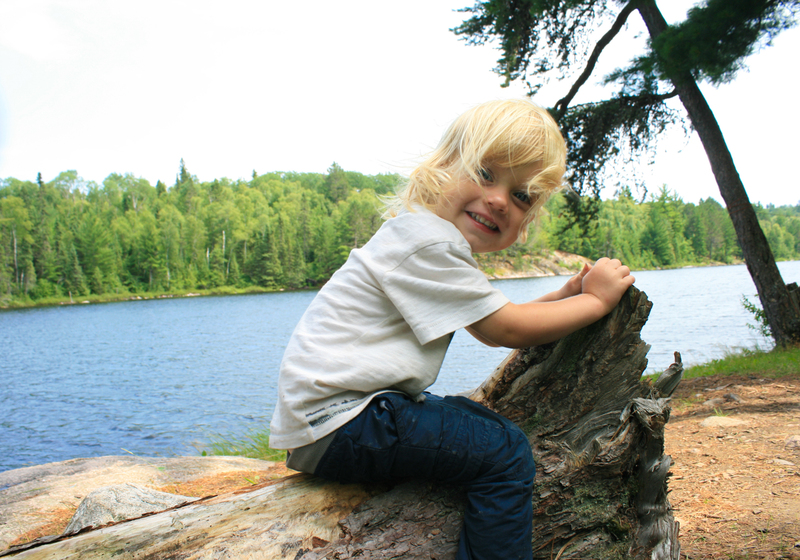 If you have young kids on your first trip, I highly recommend taking it easy in this way! 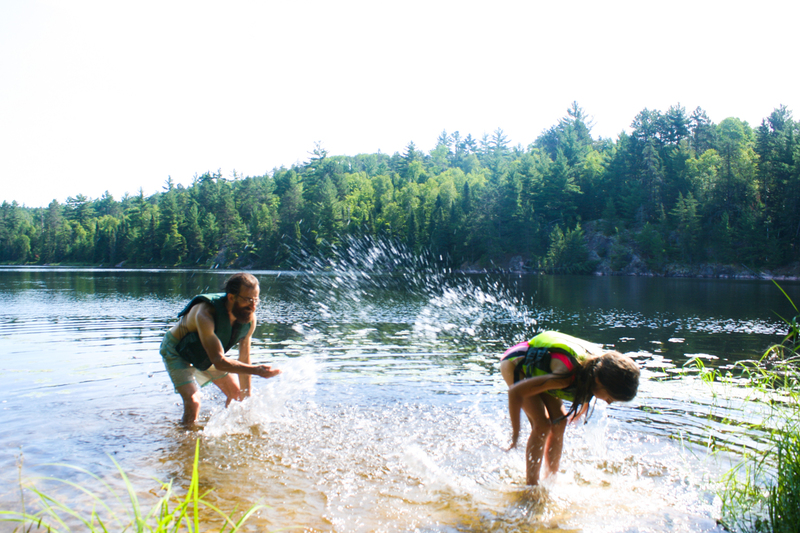 For older kids, and especially those who are active anyway, the BWCAW would be no problem. Though it wouldn’t have to be required of them, at 7.5 yo, R wore the kid’s Osprey pack, shown in the above picture, and carried all of her stuff – sleeping pad, sleeping bag, all her clothes, dishes, water, and a weeks worth of energy bars for our whole family! She reports that the pack is very comfortable and didn’t find her load too heavy. She hiked ahead of me and slow E, following on dad’s heals. During paddles, she sat on the yoke because we don’t have a third seat, and paddled with the kid’s paddle. 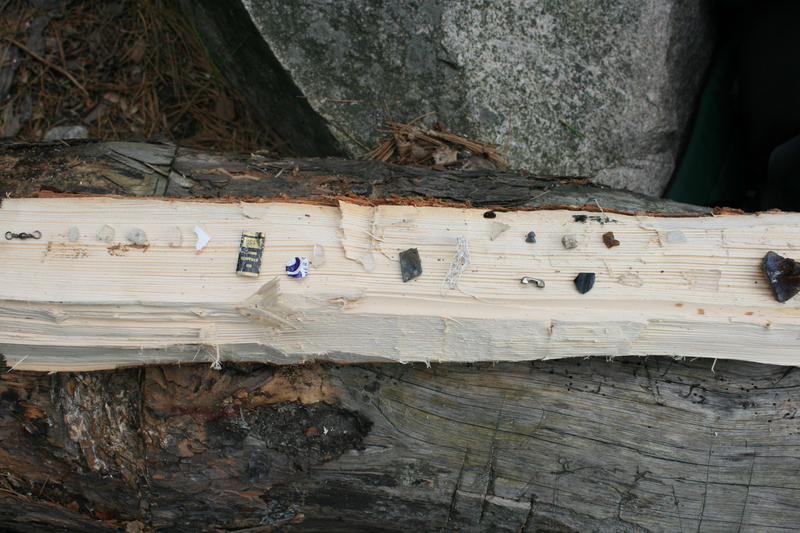 You can see how considering the different kids’ abilities informed where we stayed and how much we did each trip. This in turn also heavily informed which entry point we chose to enter from. 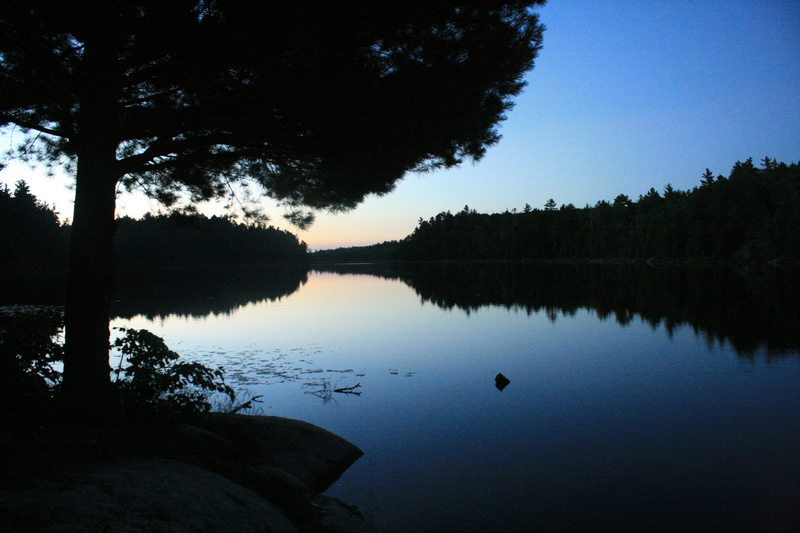 Each time we have gone to the BWCAW we have started from a new entry point – some are much easier than others. Not all entry points are created equal! Knowing that we preferred doing just one or two small to medium portages with all of our gear on that first day. we looked at the map around each entry point, considering portages, campsites, and bodies of water to inform our decision. 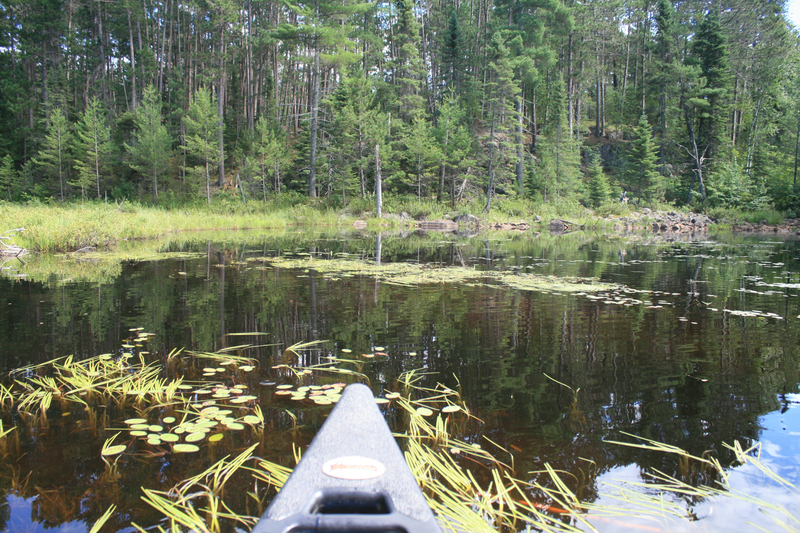 The surrounding area: If it was a super long portage, it was out. If we were to have to paddle across a large lake that allows motors just to get to the entry point, it was out. If we had to traverse a river or swamp, it was out, etc. 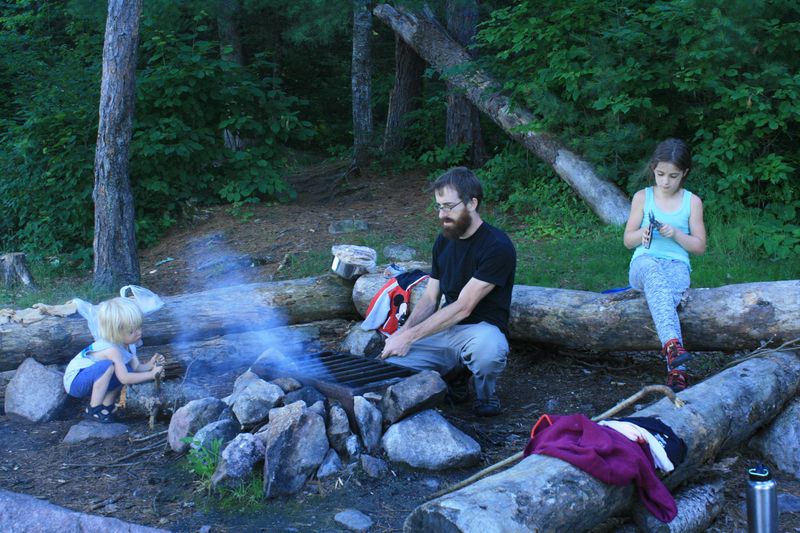 Several campsites around: We looked for an entry point that had plenty of campsites on the first or second lake to increase the chance that at least one would be available for us. Limited number of daily permits allowed: We looked for an entry point that didn’t allow a lot of permits every day. If fewer people are entering that day, we would be more likely to come across a vacant campsite. Enter early in the day to ensure you have a good pick of campsites. This year was the first year that we spent the night prior to entry in a hotel in Ely. It made entry day sooooo much easier! 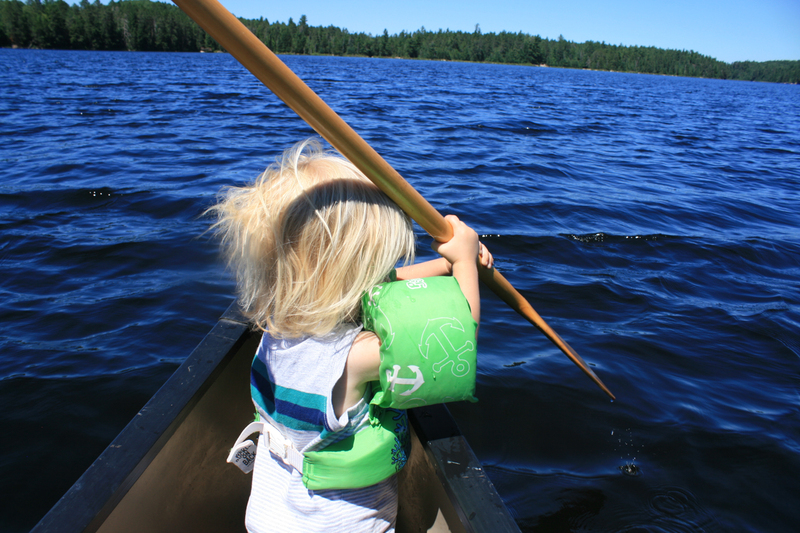 Always have a life jacket on your kid in the canoe. Bring either a rain shelter tarp, or bring an activity to do in your tent if you’re stuck there for hours due to rain. Incorporate your kids’ nap if they still take one. E doesn’t need one, so we didn’t plan around that, but he occasionally takes one. 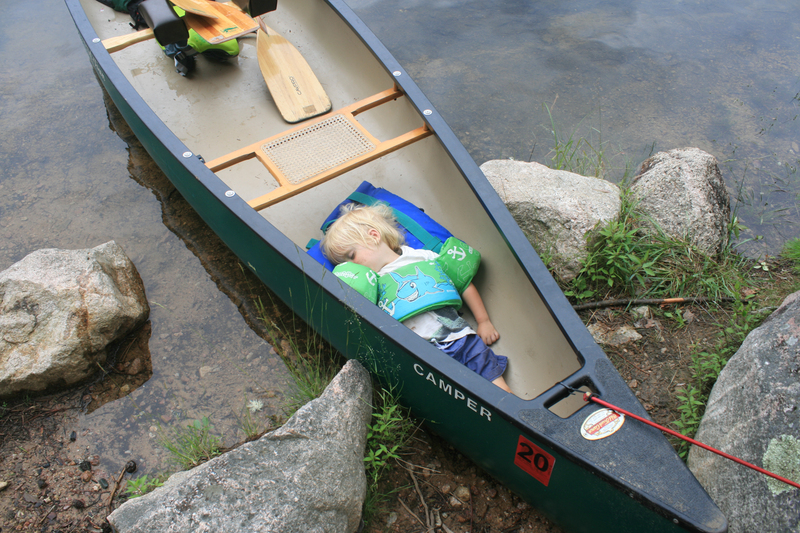 It was pretty adorable when he fell asleep on a long paddle, leaning against my shins. Consider if they can nap in the carrier or if you need to be at the campsite. Remember to bring aforementioned child carrier if you use that. The trip will be smoother if everyone is content, so identify what makes your children be less than their best self and figure out how to provide what they need in order to prevent that. For my kids, it’s being hungry, which leads to my last point. Super organize your food before you go. Even without kids, I go to pretty great lengths to organize our backpacking food the day before – planning, packaging and labeling everything will ensure that I can quickly grab the right food for the right day when we arrive to our campsite hungry, and that we don’t eat the wrong ingredient with the wrong meal (and later have to eat plain rice). Pack lunches that do not need any cooking. 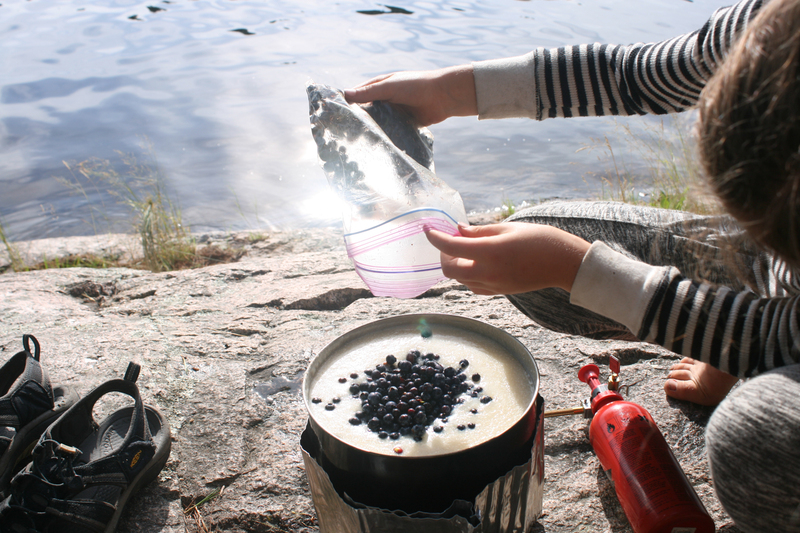 This way, we can eat lunch on the go without pulling out the stove if we are moving camp. Or, if it’s a day trip, we can go without bringing the stove along. Snacks. Pack an insane amount of shelf stable snacks. That is all. Starting the morning with all positives. 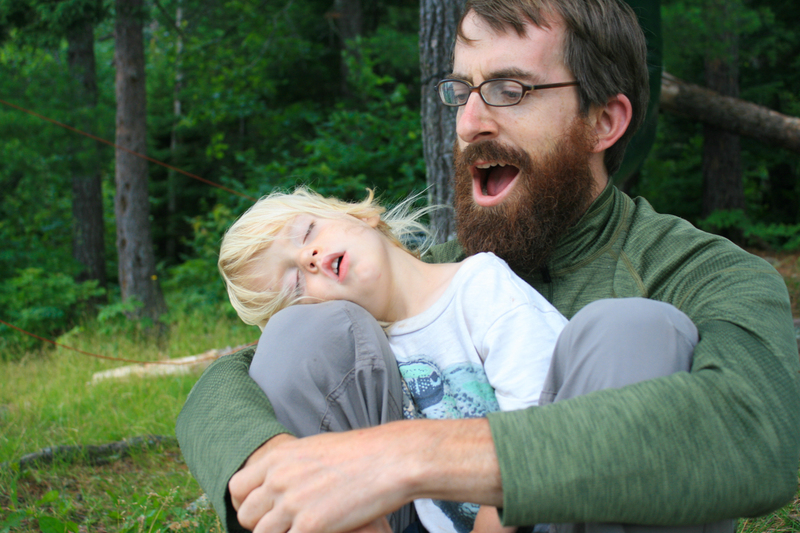 Honestly, I get terrible sleep when I camp with my kids. 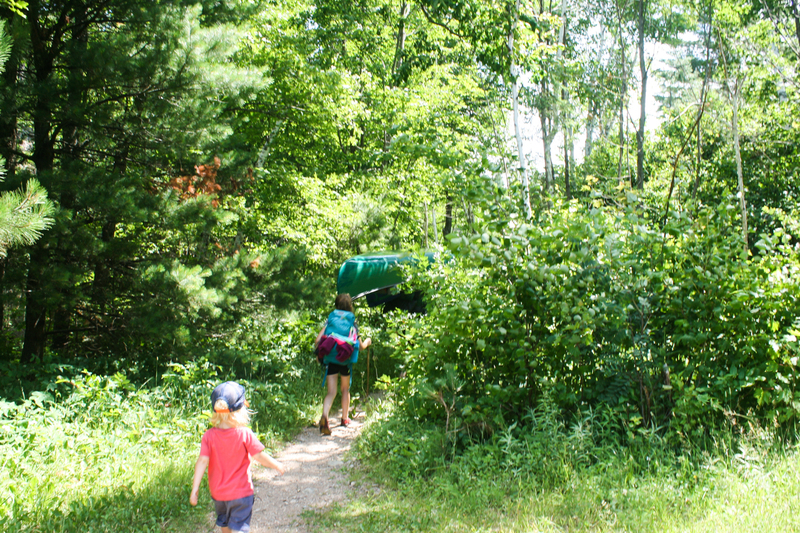 Maybe it’s that we squeeze us four into a three-person backpacking tent, but I’m also sensitive to noise and light while sleeping and have kids that think 5a is the right time to rise no matter what time their parents went to sleep. All to say, some mornings I’m pretty groggy. Whatever you can do to make those first few moments of waking up easier and more enjoyable, do it! With the addition of a 2-year-old (a second kid to sing the breakfast demands), we switched to instant coffee! Though I’m somewhat of a coffee snob at home, I can’t recommend this switch enough. Side note: for the coffee snob who drinks instant, I recommend Starbucks. The taste is better than others and it comes packaged in such a convenient way for backing. We also have a somewhat charming tradition of eating biscotti first thing. You don’t have to bring biscotti, of course, but having a quick-bite-something for everyone to munch on while breakfast is cooking has been so worth it. 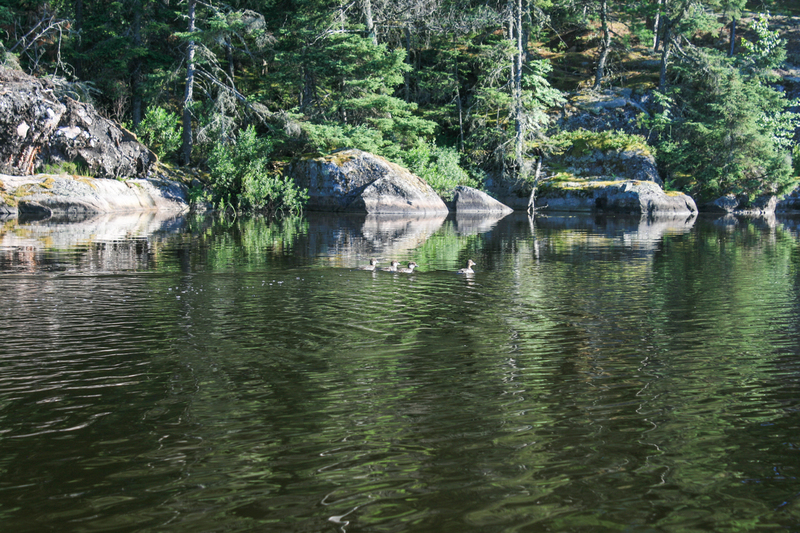 The Boundary Waters is truly a gem. I love to go there, and love to talk about being there. It would make my day if we were successful in getting someone to check it out who hasn’t been before, or empowered parents to take their kids. So don’t hesitate to send me all your questions! Long live all our thoughts and dreams of being in the wilderness!